Award-winning author David Bergen will kick off UNB Saint John’s 2010-2011 Lorenzo Reading Series when he reads from his new novel, The Matter with Morris on Friday, Sept. 17 at 7 p.m. in the Ganong Hall Lecture Theatre. 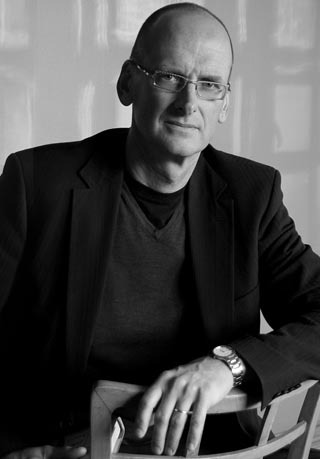 Recipient of the Writers' Trust Notable Author Award in 2009, David Bergen is the author of five novels and a collection of short fiction. The Time in Between (2005) won the Giller Prize and was longlisted for the Dublin IMPAC Award. The Retreat (2008) won the McNally Robinson Book of the Year Award and the Margaret Laurence Award for Fiction. The Case of Lena S. (2002) was a finalist for the Governor General’s Award, and his debut novel A Year of Lesser (1996) was a New York Times Notable Book. When Morris Schutt, a prominent newspaper columnist, surveys his life over the past year, he sees disaster everywhere. His son has just been killed in Afghanistan, and his newspaper has put him on indefinite leave; his psychiatrist wife, Lucille, seems headed for the door; he is strongly attracted to Ursula, the wife of a dairy farmer from Minnesota; and his daughter appears to be having an affair with one of her professors. What is a thinking man to do but turn to Cicero and Plato and Socrates in search of the truth? Or better still, call one of those discreet “dating services” in search of happiness? But happiness, as Morris discovers, is not that easy to find.